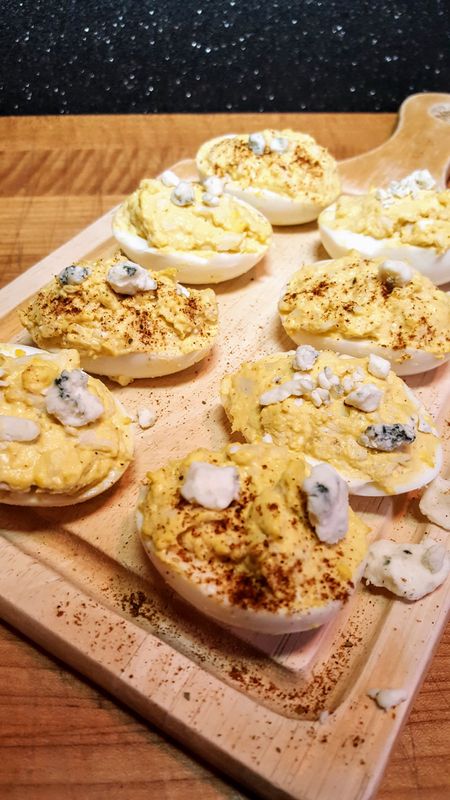 Deviled eggs with crab meat, blue cheese and blackening seasoning makes for some intense and savory deviled eggs! Marilyn announced it was time to make some deviled eggs and it was my turn. Great! But I was tired of my usual “classic” deviled egg recipe. 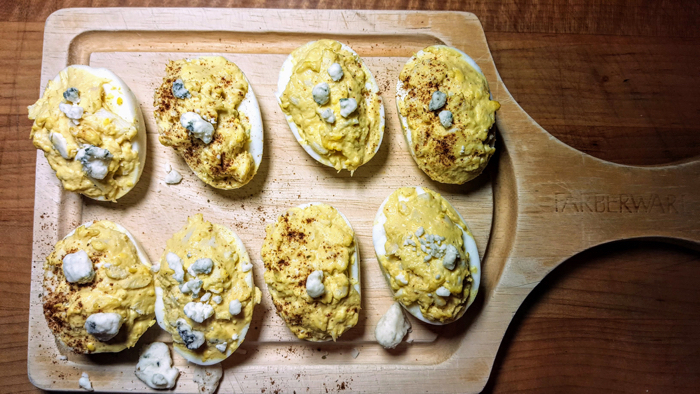 We differ greatly in what we think are classic deviled eggs – mine are heavy with yellow mustard (and I add even more mustard flavor by using Coleman’s dry mustard too) along with some sweet pickle relish and garnished with either sweet or hot paprika. Marilyn prefers more mayonnaise and vinegar and sugar in hers. Well, we grew up in different parts of the country. 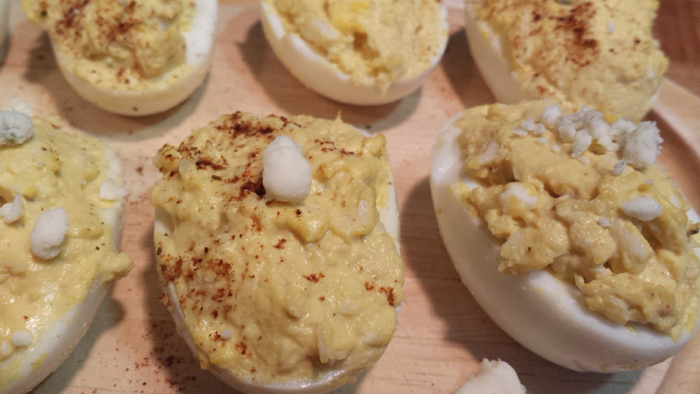 So I thought of crab deviled eggs (we’ve had them quite often and love them), but I put a twist on them. Old Bay Seasonings has a huge family of spices. Yup, that is actually a pic from our spice cabinet collection. 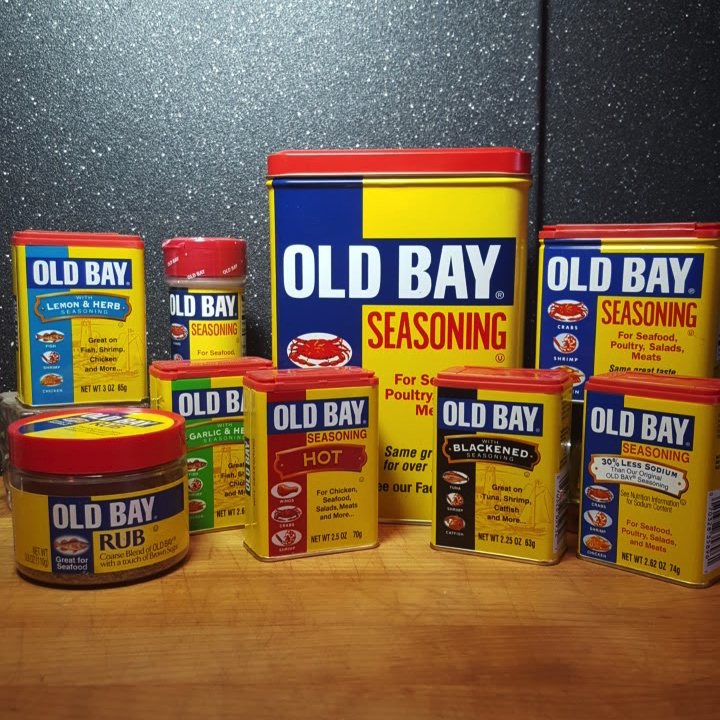 Being from Maryland, we’re sort of born with Old Bay in our veins. 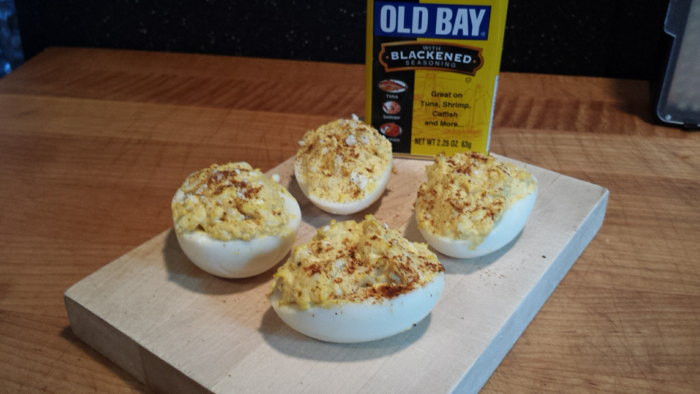 For this recipe I’m working with their own Old Bay with Blackened Seasoning for these eggs. Please Pin this image if you’re into the Pinterest thing!